BioWare's Mass Effect 2 is nominated for five of ten awards at the 11th annual Game Developers Choice Awards. Rockstar's western epic Red Dead Redemption is up for six. 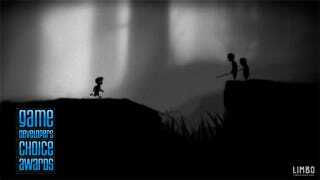 Playdead's downloadable Xbox Live Arcade game Limbo has them both beat. Limbo's stark visuals, thoughtful puzzles, and purposefully vague story captivated players last year, and they weren't the only ones. Game developers loved the title as well, as evidenced by the seven nominations the game received for this year's Game Developers Choice Awards - more than any other title. It's an impressive feat for a game that is developer Playdead Studios' first title, made even more impressive by the caliber of competition Limbo is going up against. Limbo is in the running for Best Game Design, Best Audio, Best Debut Game, Best Downloadable Game, Innovation, Best Visual Arts, and Game of the Year. Red Dead Redemption makes a strong showing as well, with six nominations including Game of the Year, and let's face it - if Rockstar's masterpiece was a debut title or downloadable, it would have been up for those awards as well. The same can probably be said for BioWare's Mass Effect 2, which goes up against Red Dead in all nominated characters except for Best Visual Arts. Check out the full list of nominees below, and stay tuned to Kotaku to see which game comes out on top at the 2011 Game Developers Choice Awards during the 2011 Game Developers Conference on Wednesday, March 2.